At AMI, volunteers are a critical part and play a fundamental role in the implementation of the institution´s projects, working in both national and international areas. If you are willing to make a difference by committing yourself to a cause with your hard work and dedication, find out where else we need your help. 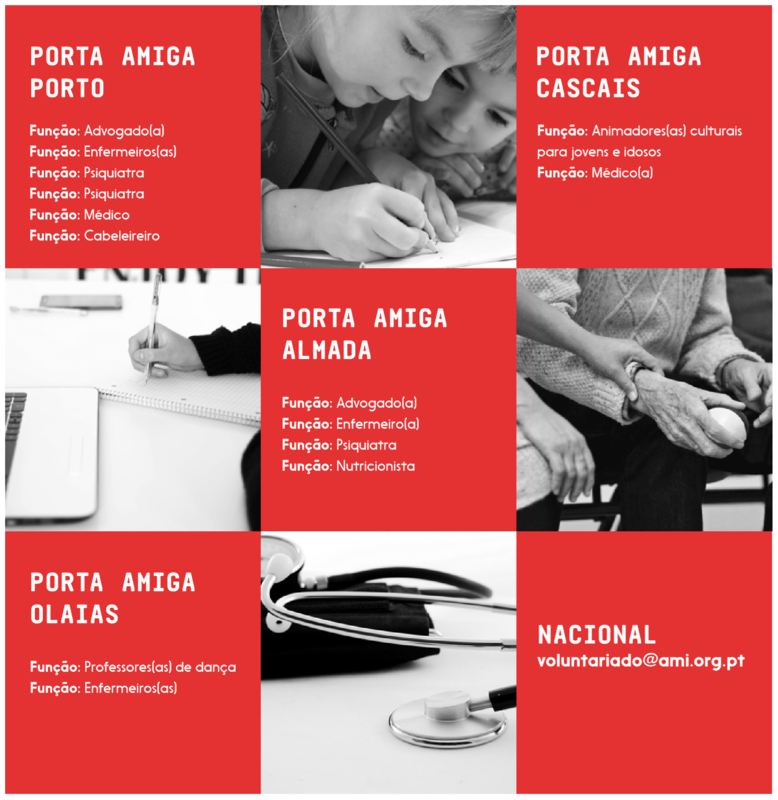 In Portugal, AMI relies on medical volunteers, nurses, lawyers, teachers, social workers, psychologists and undifferentiated workers who help provide services to beneficiaries of social facilities who otherwise would not have access to this assistance. At the same time, there is a set of occasional actions that are developed on a more or less monthly basis and that, despite not being a direct contact with people in need, are events that allow us to raise the assets and funds necessary to fulfil our mission. If you are willing to make a difference by committing yourself to a cause with your hard work and dedication, please see where else we need your help. You must send the application form, two photographs, a copy of the I.D. card, the taxpayer’s card and the passport (if you already have it), an updated CV and a certificate of qualifications. Please note that incomplete applications will not be considered. After being contacted, usually by phone, the volunteer will be interviewed in person at AMI´s headquarters.